Neuroblastoma is a rare type of cancer that mostly affects babies and children under 10. It develops from nerve cells left behind from a baby’s development in the womb. Tumors most commonly occur in one of the adrenal glands that sit on top of the kidneys, or in the nerve tissue that runs alongside the spinal cord. Tumors can spread to other organs such as the bone marrow, lymph nodes, liver and skin. The exact cause is unknown, and it generally doesn’t run in families. Adam had a mass the size of a grapefruit sitting on his adrenal glands, and the cancer had already begun to spread throughout his bones. 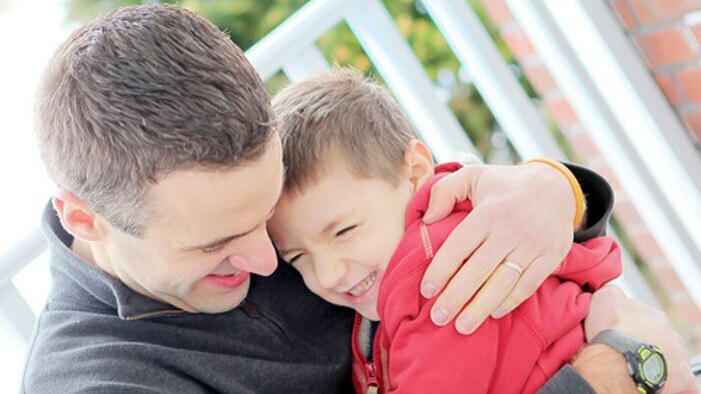 Before Adam’s diagnosis, Mark had heard very little of neuroblastoma. 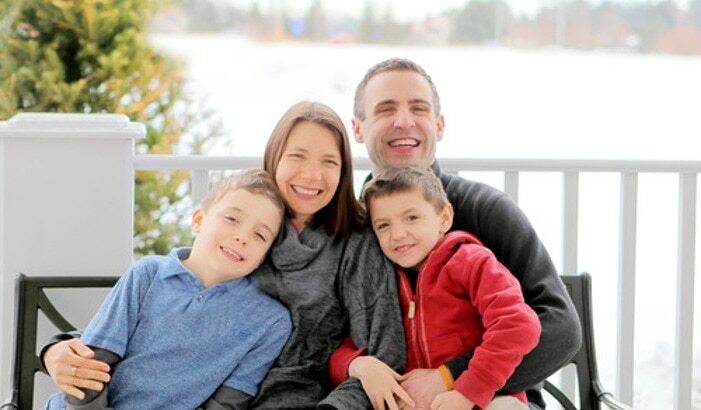 Throughout Adam’s treatment, Mark worked at GE Global Research. But more recently, he joined the GE Healthcare Computed Tomography (CT) team to get more involved in the immediate clinical world. Mark’s current manager was the engineering program manager of the product that diagnosed Adam. 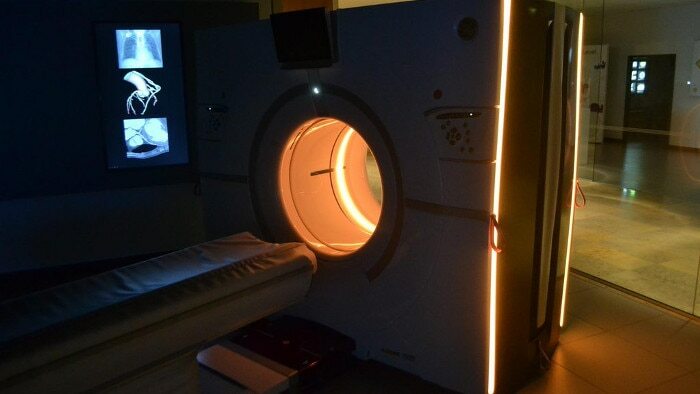 A CT scanner’s lights turned gold for Childhood Cancer Awareness Month. Treatment began almost immediately. After eighteen grueling months of chemotherapy, monoclonal antibody therapy, MiBG therapy, Radiation therapy, surgeries, and a stem cell transplant, Adam’s body responded. The tumors receded, and Adam was officially in remission as of August 28, 2014. Today, nothing can stop him. Adam’s cancer was diagnosed thanks to some of the most advanced imaging technology available, developed by Mark’s predecessors and contemporaries in the field. Adam received ultrasounds, CT scans, MRI scans, Nuclear Imaging, and more to monitor the tumors. Mark’s hope is that his teams’ efforts will, in a sense, pay forward Adam’s successful treatment to the next class of kids. “My dream is that pediatric oncology research will make the treatment more effective, saving more lives and minimizing the harm needed to save that life,” he said. However, remission is not the end of the story. Adam had a 50/50 chance of making it through treatment, and he has a 50/50 chance of the cancer coming back. He will have to live with the side effects of the extremely harsh treatment, one of which will most likely be a secondary cancer. Go to the family’s Facebook page, Aces For Adam, to keep up with Adam’s fight. The Fronteras are also raising funds to continue advanced research on neuroblastoma at the Dana-Farber Cancer Institute. Find their page here.